Bad week.... bad bad week. Don't even want to talk about it. Let's aim for 6/8 in the final round to get out of dodge with our 65% success rate. Yikes... last week was not good. Hey at least we did a new Podcast though! Cowboys could pull this off... they are at home and guarantee a Top 8 spot with a win. But I'll pick Brisbane. Parra don't have enough of a letdown after last week here surely... but stranger things have happened and Parra aren't really that good either. Easts - win and they get a Top 2 spot and at least one home semi final. Great to see this game have genuine Top 8 impact for BOTH teams. Lose and you can still miss the Finals if the Cowboys lose, guaranteed you get knocked out with a loss if the Cowboys win and so do the Dragons. Let's go with the Panthers with Moylan back. Got a feeling Canberra could win this... but Melbourne get my tip. Cronulla may not be able to get into the Top 4 with a win if Parra win on Friday night but Sharks win here and win well to secure 5th spot. Saints will be able to make the Top 8 with a win - even if the Cowboys beat Brisbane, the loser of Manly-Penrith would miss out if the Dragons win. So yeah, little bit to play for if you are in Red and White. At least it should be fun to watch - with nothing on the line for either team and the last game of the season means we might see some tries or eight on Sunday night at Leichhardt. 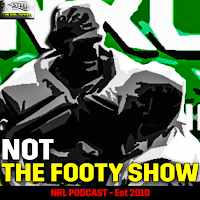 Join Robb Cox and Warrick Nicolson as they digest the latest in Rugby League a week out from the NRL Finals. 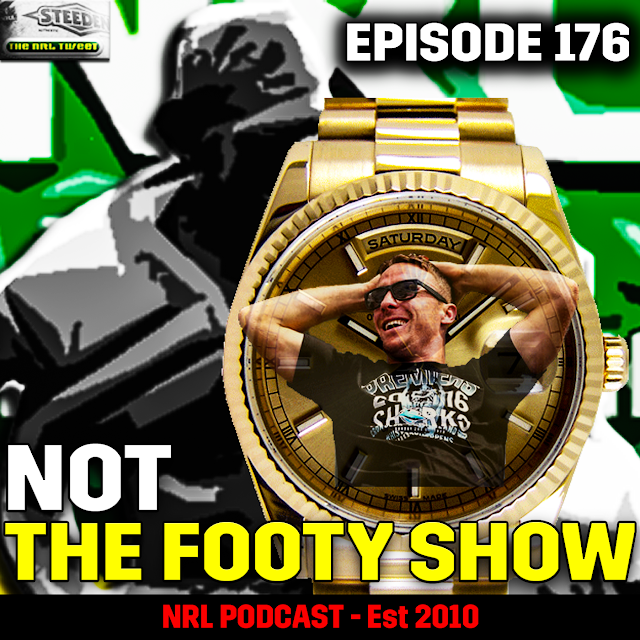 The RLPA's campaign for more money and how Maloney's comments may have overstepped the mark, they discuss the fallout from the Hayne-Henry-Titans and Daley-NSW situations, ask why anyone is surprised Josh Dugan wasn't on the TEAM bus... again, and finish with another solid Feedback segment on this week's NOT The Footy Show. Round 24 started so well... 6 from 6 and flying... then Penrith made the bookies look stupid beating Canberra in Canberra, then the Bulldogs ripped Manly to shreds. So 6 from 8... you've gotta take that - anyone who got Penrith picked up a valuable point because next to no one would've tipped Canterbury. Just over 65% for the year - not quite the 70% of last season but you can't complain with 65% after 176 games. 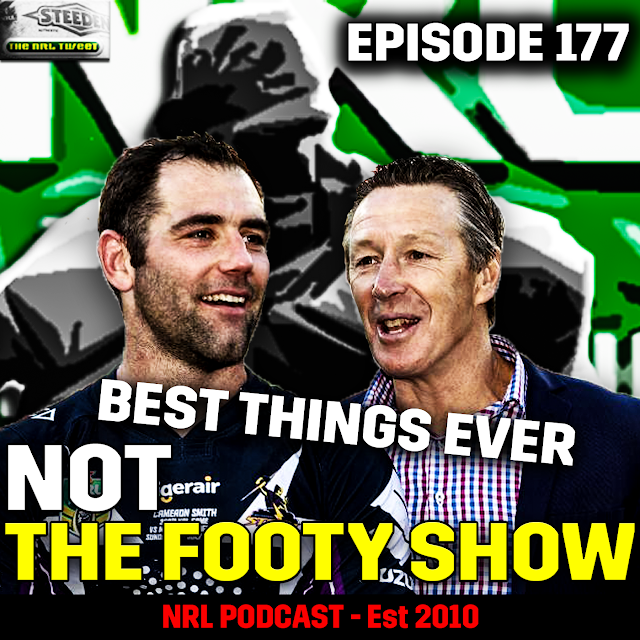 🚨 NOT The Footy Show Episode 176: Coming soon... still coming soon. Life gets busy folks... and still is. Sorry. Manu Ma'u suspended and Bevan French hurt = Brisbane continue their impressive run of form since Parra beat them a few weeks back. Brisbane secure their Top 4 spot (and maybe 2nd outright) here and leave Parra in the elimination section of the Finals. I just don't trust the Tigers at all... Cowboys win this and they get a Top 8 spot... they lose and I think they'll get replaced in two weeks time. This might actually be a good game to watch... the Titans will play a care free style now their coach is gone (rightly or wrongly) and the Dogs just woke up from a year-long slumber. Titans at home I guess. Cronulla win when they play Easts of late... so I'll stick with the form-guide. Manly. That is all. They secure their Top 8 spot with a win... surely they don't lose to Canterbury... sub in the Warriors to that sentence. Surely they don't lose a second gimme game??? Moylan out... that hurts Penrith. Saints weren't bad in Brisbane but you pick Penrith here unless you are a Red V devotee. 5 from 8... acceptable given the upsets of the round. I mean who picks Newcastle and the Tigers last weekend? Cronulla got well and truly out-played though... Brisbane were impressive. Good luck if you are in contention for your tipping comp kids. Go an upset or two if you are - live a little. 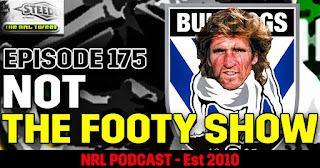 🚨 NOT The Footy Show Episode 176: Coming soon... still coming soon. Life gets busy folks. Seriously who knows when it pits two ordinary teams against each other so late in the season... Souths I guess. Although Brisbane were great last week - the Dragons got some confidence back but I'm not convinced they'll beat the Broncos at Suncorp. Yes Newcastle have won 3 in a row but Melbourne is your only pick here... they've won 17 of 21. Could be an entertaining one - Roosters should win and eventually win well I think. 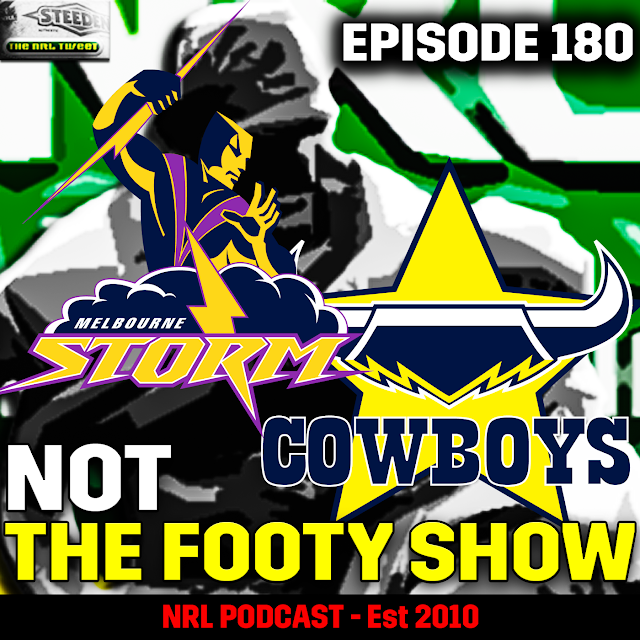 Poor Cowboys... they've needed one win to pretty much secure their Top 8 spot 3 weeks ago... they haven't got it yet. And I don't think they'll get it this Saturday night either. Toss a coin... Canberra are at home. That's not enough to pick them - so pick Penrith if you want. Manly. That is all. They secure their Top 8 spot with a win... surely they don't lose to Canterbury. Eeeeeeeeek.... 4/8 and we were lucky to be that good. Missed on Saints (who butchered that game v Souths), Warriors (I trusted neither them nor Newcastle so I can live with it), Sharks (Canberra were outstanding) and Easts (Manly found a way as Easts blew a 14 point lead). But the good news is Parra, Melbourne, Brisbane and Penrith looked after us. 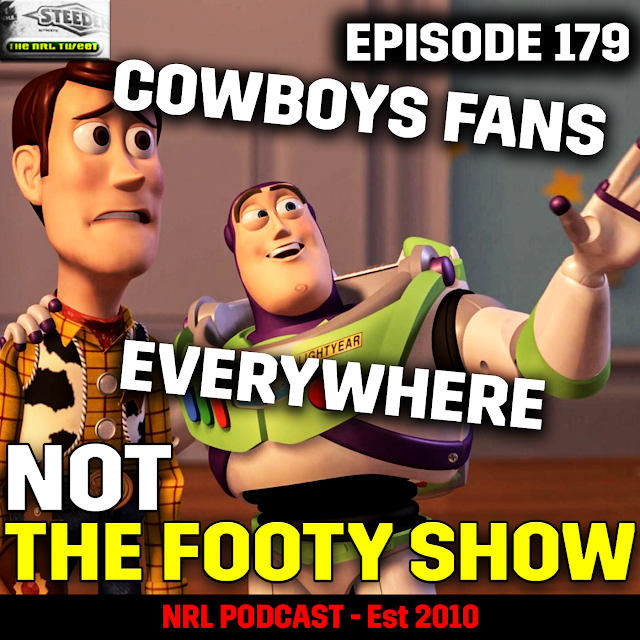 🚨 NOT The Footy Show Episode 176: Coming soon... as in we haven't done one yet, that's not the name of the Episode. Does anyone care? I don't. Both teams are at 'home'... so go with the team that won most recently. But good luck in being confident in either team. Parra should win even if they are massively over-rated at the moment. Newcastle might give them a little bit of a fright but can't see them winning. My upset of the Round - Sharks got embarrassed by Canberra, Broncos embarrassed the Titans - danger sign for the Broncos. Go Cronulla if you want to take an upset this weekend but I don't really view as an upset to be honest. Surely the Dragons don't blow another 'gimme' when they can't afford to... part of me wants to pick the Gold Coast for the bounce back factor... and I might just do that come the weekend. But for your tips - go Saints. Sure Melbourne Roosters have some injuries but they aren't going to roll over here. Danger game for Melbourne - this won't be a cake-walk. Cracking matchup - Penrith at home is enough for me to tip them though. Canberra will know by the time they play if they are closer or further away from that 8th spot with Saints and Penrith playing earlier in the weekend. Either way - they have to win this game but if one of those two teams lose (or if both do) they could beat the Warriors by 50. Had Manly lost to the Roosters then Wests would be a serious chance - but Manly all but secure their Finals spot if they win this and they should. 5/8 - that old chestnut... to be fair we can't complain with 5/8 when we went exclusively with favourites in Round 21. Parra were just too good for Brisbane from the 6th minute on, the Knights were tremendous to give the Dragons a quick reality check and the Tigers ripped apart the timid Titans. Now at nearly 66% for the season - a strong end and we're gunning for 70% and a repeat of last year. Stick with me... it could happen. Parramatta secure their Top 8 spot with a win and stay in the running to host an Elimination Final in Week 1 - simply too many good reasons for them to win against a Dogs team that is borderline pathetic in attack right now. The Dragons don't come to play for this one and the Bunnies might just make them pay. That said this is a game the Saints need badly to stay slightly ahead of the chasing Panthers for 8th spot... so surely the Dragons don't turn it up... right? Love this matchup - given it is in Townsville on a rare Friday night - don't count out the Cowboys. Melbourne always get up for milestone games (Cam Smith's 350th was a fair one of those!) but stick with the Storm for your tip. No Andrew McCullough is huge for Brisbane but if Ben Hunt works out at #9 they may not miss a great deal... well apart from defensively. The Titans won't be as bad as they were last week given this is a local derby at home but you've still gotta go Brisbane. Upset alert though. Manly are coming off the back of two big time thrashings from Saints and Melbourne - and the Chooks did it easy v Newcastle and then fought hard to beat North Queensland at the SFS. Manly show up and get the chocolates and the past two weeks will be a distant memory but I've had my doubts all year about them so if they get beat I think they may be in all sorts for staying in the Top 8 by the end of Round 26. Penrith need to win. Penrith have to win. Penrith should win and win well. Go Penrith. Prize Alert: You could win dinner with Robb Cox and Warrick Nicolson just by listening to this week's Podcast. 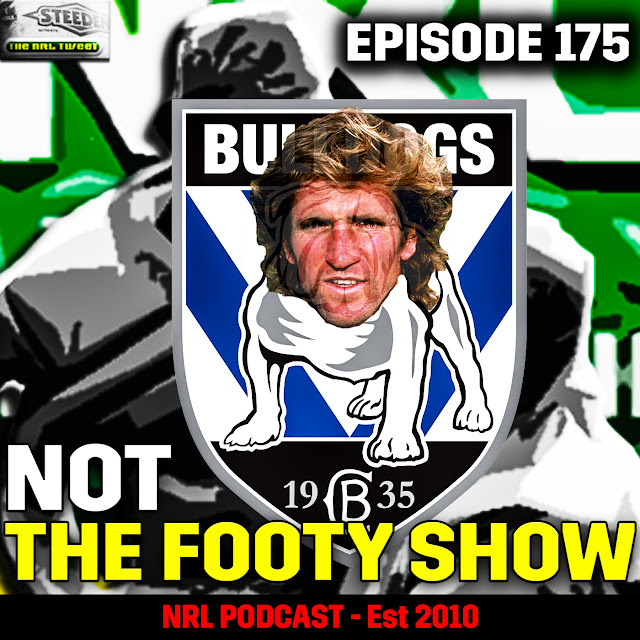 We talk the suddenly wobbly Dragons and Sea Eagles after 21 Rounds... reveal Des Hasler's got the full support of the board... and finish with a bumper Feedback segment on this week's NOT The Footy Show. We also give our respects to Les Murray who passed away today aged 71. If the Dragons decided to play footy with a fullback who knew how to support the ball carrier once their grind first game started to fall apart - they might've been fun to watch for the past three months. Oh and the Dragons ripping of Manly to shreds was the only game we steered you wrong on last weekend - that's a 7/8 week and you should be thankful you went all favourites just like me. 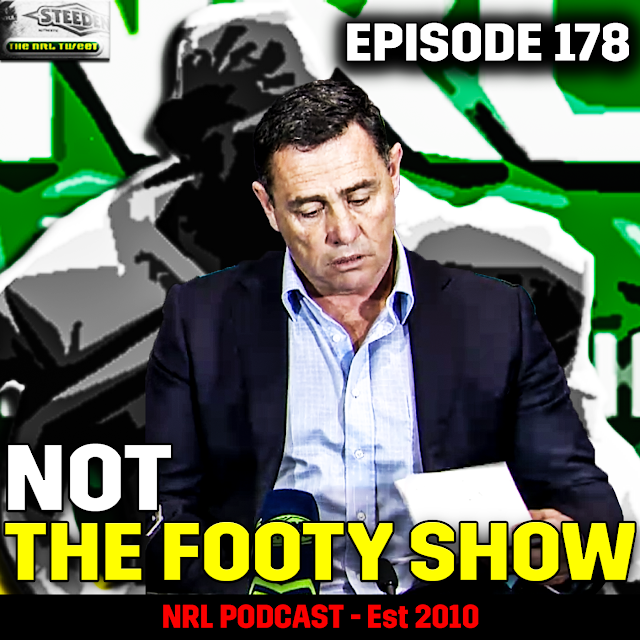 🚨 NOT The Footy Show returns next week. 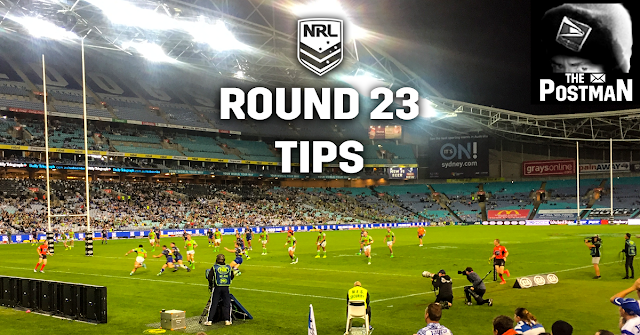 Moylan is out again - so it gives the Dogs some hope... for the first half. Expect the Panthers to run away with this one in the back end of the match - Canterbury will produce a stunning attacking game at least once more this season... making that maybe 3 for the year. You can't trust them. Cronulla need to win this to hold their Top 4 spot - so they will. Warriors would have to win every game for the rest of the year and rely on other results to make the Top 8 - they won't. Maybe... I just can't pick the Eels. They are a good footy team but limited in how adventurous their coach lets them be some times... then again that's Brisbane in a nutshell. I don't know... Broncos are higher on the table so they get the tick at this point... well only if Boyd plays. If the Dragons want to play attacking footy the Knights won't be able to stop them... then again I'm not convinced Paul McGregor lets them. But you have to pick Saints - they will only need 2 more wins after this game to secure their Top 8 spot if they beat Newcastle. Who really cares? If Canberra turn it on Souths can't go with them right... or maybe they can. Canberra go in without Rapana, Soliola and Papalii... so why am I picking them? Should be a good game of footy - Cowboys playing handy footy lately and the Roosters are down on some troops... home team please. Manly finally got a wake up call back to reality last weekend from the Saints... and the Storm will be without Slater and maybe Smith as well... game is in Melbourne. Lean Storm. Jarryd Hayne v James Tedesco should be fun... neither team can make the Top 8 (well Titans can but need a miracle) so it might be a wide open game of footy. I can get behind that.